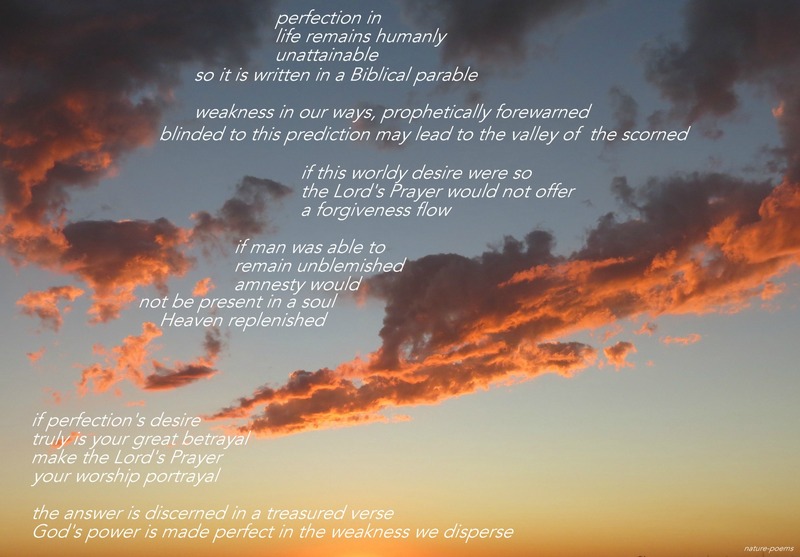 Imperfect Strength is an original life poem by David Norman. Inspired by everyday events, good and bad, I have composed many life poems, love poems, and inspirational poems. Author's notes: If we were perfect, the Lord's Prayer would have never descended upon us. Daily forgiveness is a must for our imperfections and the imperfections of others that bring frustration to all of us.